As a part of a celebration of the city of Pittsfield’s 250th anniversary, the Berkshire Eagle chronicled the most notable people in the city’s history. Our founder, Andrew Campoli was recognized on August 23, 2011 for his contributions. 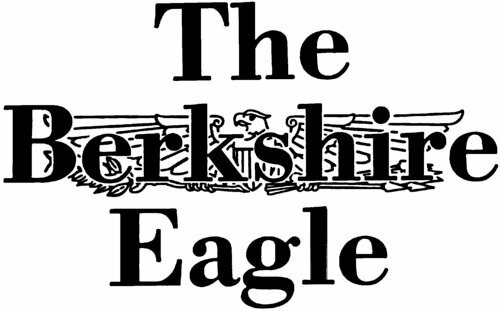 Here is the Berkshire Eagle article below. Andrew Campoli was the first public defender in Berkshire County. It was a tough job, but someone had to do it. The son of Italian immigrants, Campoli still recalls the time when he couldn’t afford a coat and tie for a second-grade school picture. Perhaps it was that and similar moments early in his life that propelled him to seek a career not just as an attorney, but as a public defender. He defended the lower class with passion and dignity. Campoli held the county position from 1961 to 1986. Campoli, still active in law at the age of 87, sounded a loud note of discontent in 1985 when at the age of 59 he said he was too “emotionally spent” to continue to handle both his private practice and the extensive work that was the job of pubic defender. During those years, the public defender’s office included three lawyers, a private investigator and a secretary. For more than 20 years it was all Campoli and his associate had to work with. And what they lacked in resources, they made up for with intellect and passion. Campoli would not have had it any other way. His outcry, if it didn’t prompt changes in the state system, certainly was the final nail in the coffin of how things were once done. Campoli attended Williams College, enlisted in the Navy during World War II and then graduated from Tufts. The family wanted a doctor — his uncles John and Charles Alberti were already well-known and highly respected lawyers — but the profession was too deep into the blood and even though Campoli majored in biochemistry, his sharp mind and personality led him into the courtroom. He graduated from the Boston University School of Law and passed the bar exam in 1951. A career was born. Campoli was at the lead in many high-profile criminal cases for the better part of three decades and developed during that time a reputation as a tenacious divorce and personal injury lawyer. Campoli prove to be tough as nails when he rebounded from a brain aneurysm in 1990. The experience did cause Campoli to slow down and with the practice now including sons Thomas and Peri — the firm is now known as Campoli & Monteleone — the senior Campoli continues to advise and refers to himself as the ‘Ol’ Counsel. Nice touch and quite fitting.